Mini Library Board Books - Bumper End of Season Sale - Special Bumper Gift Pack for Toddlers, Children, Babies - 2 x Fun to Learn Board Book Sets - Red & Blue - Animals Board Book Mini Library - 18 Board Books Collection Set - RRP £15.96 - Yours for Just £8.99 - While Stock Lasts! Time for fun on the bright red Shape Sorter Bus. 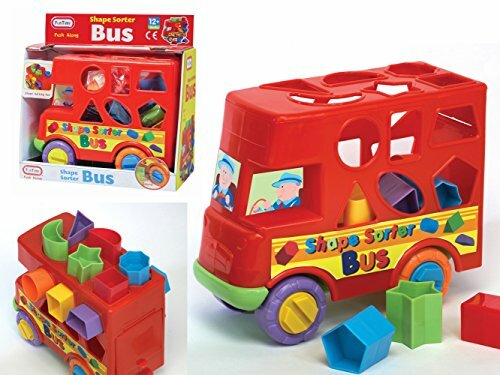 Sort the colourful shapes into the correct holes on this brilliant pre-school vehicle. Little ones can also push it along for a driving adventure. 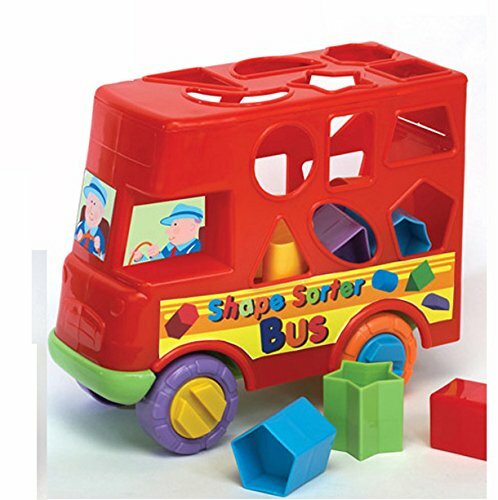 Made of chunky, durable materials the Shape Sorter Bus is perfect for little hands and curious minds. Suitable for kids aged 12 months and up.